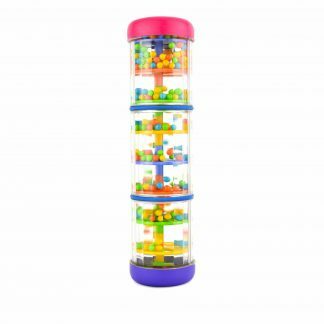 When looking for a first shape sorter, choose Ambi Toys Lock A Block. 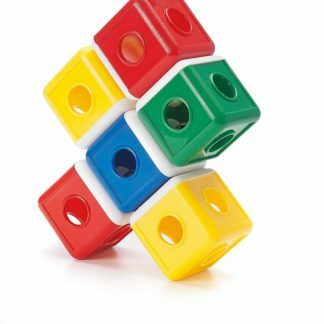 High contrast colors, raised rims, and three dimensional shapes support sorting success. Lock and key retrieval door expands play and develops fine motor skills. 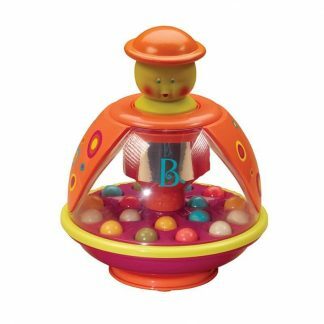 This classic shape sorter toy for toddlers displays high contrast between the bright white top and the color matched raised rims outlining each opening facilitates “hitting the target.” Three dimensional shapes drop more easily into place than shaped dowel pieces that require precise fitting. 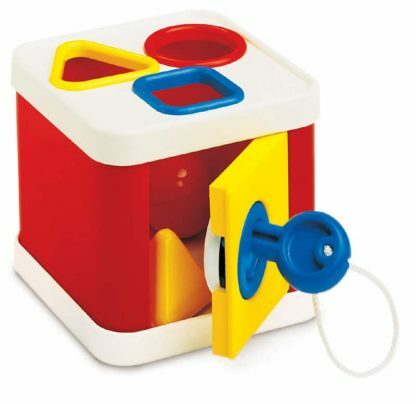 This lock blocks toy includes two each of three shapes. Retrieve shapes through door on front of block. Permanently attached key fits smoothly in the lock and turns easily; lock clicks as the key turns. 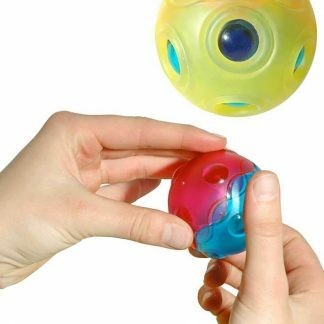 The Ambi Toys Lock A Block develops eye-hand coordination, fine motor, cognitive, and language skills. Measures 5 1/4″L x 5 1/4″W x 4 3/4″H. 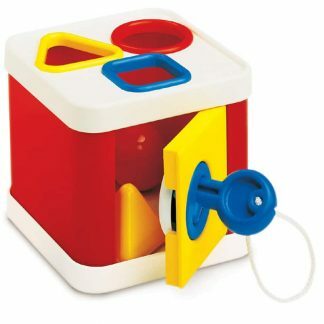 Lock A Block is particularly appealing to children with low vision who benefit from the high contrast and raised rims. 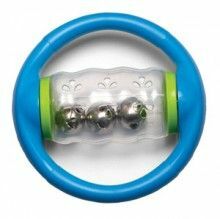 The sound of the shapes hitting the bottom of the block and of the key turning in the lock provides auditory reinforcement for the blind and visually impaired.